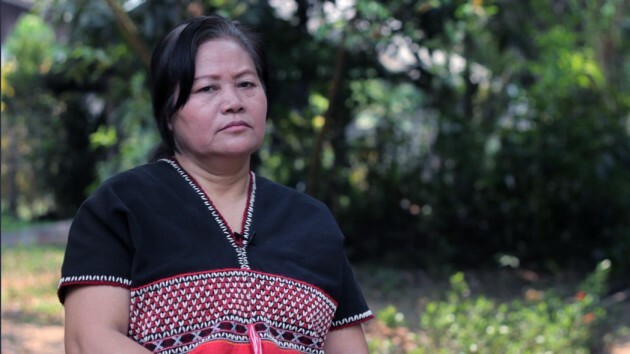 Naw Zipporeah Sein, has spent the last four years negotiating with the Burma government as a key member and Vice-chairperson of the Karen National Union. Ms Sein recently took the time to analyze the Union Peace Conference that was held from 24 to 29 May, 2017 in the country’s capital, Nawpyitaw. 1. The representatives of the ethnic armed resistance organizations attending the Union Peace Conference 21st Century Pinlong Second Meeting are representatives from only 6 organizations namely, the KNU, DKBA, KPC, CNF, PNLO and ABSDF. For that reason, in signing the Union Accord, which is the meeting’s result, the RCSS and ALP, which had signed the NCA, were not involved. The main reason was that they did not get the permission to hold national level political dialogues with the ethnic nationality peoples in their own respective states. Mention is made in the NCA as well as in the Framework for Political Dialogue that national level political dialogues shall be held before the Union Peace Conference is held. Therefore, the KNU Vice-President Padoh Saw Gweh Htoo Win represented only 6 ethnic armed resistance organizations when he signed the Union Accord. 2. The ethnic armed resistance organizations, that have signed or have not signed the NCA, have not given mandate to anyone to sign the result of the meeting on their behalf. The chief reason was that the ethnic armed resistance organizations had not discussed and agreed among themselves upon the principles and proposals laid down by the UPDJC. 3. It is not clear how the 37 agreed points, concerning principle and policy in the Section (1) of the Union Accord, was reached. There are the agreed points gained in the sector by sector discussions of the national level dialogues, which have been held with the expenditure of much time and effort. However, those points are not seen in the Union Accord. Some of the points mentioned in the Union Accord are points taken directly from the 2008 Constitution. Some of the points are expressed by changing some words and the meanings of them are not in agreement with the viewpoints collectively expressed by the Karen and the other ethnic nationalities. Hence, the terms of the Accord still don’t offer any guarantees for the ethnic nationalities. 4. It is the position of the groups to hold further discussions among themselves on the matters, upon which agreements have still have not been reached. However, the UPDJC had decided on terms of agreement. 5. The UPDJC’s decision making mechanism is not clearly defined in the Framework for Political Dialogue. The Tatmadaw’s (armed forces’) viewpoints and positions have mainly dominated and taken up space in decision made by the UPDJC in its previous meetings. It is apparent that Tatmadaw group’s decisions must be assented to by the other groups. If the concerns of the entire country, especially if the destiny of the ethnic nationalities is in the hands of a minority only or a group of people, it has to be said that this peace process is false. For that reason, reviews and corrections must be made. Otherwise, a just new course must be found. 6. The terms of agreement on sectors regarding political issues, economic affairs, regional development, social concerns and land and environment questions, there is not a whit about the rights of the ethnic nationalities. They are just ordinary notes and on general matters. There is no guarantee for equality and the rights of the ethnic nationalities. 7. The expression, the “Rights of Citizens” used in the Union Accord, is not the same as the “Rights of the Ethnic Nationalities”. The movements of the ethnic nationalities for the “Rights of the Ethnic Nationalities” is not the movement for the “Rights of the Citizens”. The two sets of rights are not the same. The ethnic nationalities have not struggled and sacrificed their countless lives, blood and sweat for the “Rights of the Citizens”. Though the law provides that each individual citizen has equal rights and the right to possess them, it does not cover the rights of the ethnic nationalities. If the rights of the ethnic nationalities are not provided for in the system of laws or in the constitutional law of the country, there is no guarantee whatsoever for the ethnic nationalities. 1. On looking back on the peace process, it must be remembered that the armed ethnic resistance organizations, which have signed the NCA, Bama Tatmadaw as well as the current government have said that they shall obey and perform in accordance with the NCA, after all the ethnic armed resistance organizations participate in the signing at the NCA level. However, they themselves are not obeying and performing according to the terms of the NCA. For example, in the Chapter (5), Article (20), the political road map that must be undertaken, step by step, is shown as follows. Not any one of these four levels has been carried out effectively and to completion by them. 2. One other point is that on coming to power, the current government decided to review the Framework for Political Dialogue. However, just as all the ethnic armed resistance organizations cannot complete the review, the entire Framework cannot still be adopted. Currently, the peace building activities are done based on partially adopted Framework. 3. Similarly, all the Terms of Reference, written for the Framework for Political Dialogue, have not been adopted. Regarding this matter, just as there is no clarity among the persons concerned and as they cannot explain and enlighten the organizations about them, all are in the dark. For example, just as it is not clear with what decision-making mechanism the Union Accord was realized, our representatives, who attended the recent Union Peace Conference Second Meeting could not explain in what manner the conference was held. That is why the question arises as to whether there is any meaning for the representatives, who have attended the meeting. It meant that without an understanding of the Conference, they were participating and supporting it. 4. According to the Road Map, the Conference must be held only after the national level political dialogues were held. In fact, some of the eight ethnic armed resistance organizations, which had signed the NCA, had not held national level political dialogues. The fact was that Tatmadaw, on its own volition, did not give permission to 2 of the eight organizations to hold national level political dialogue. However, the peace process was pushed ahead and proceeded with the 6 organizations, which had held national level political dialogues. Accordingly, as Tatmadaw, the government, the parliament and the 8 ethnic armed organizations had deviated from the NCA, the NCA has been wrecked. For that reason, for further undertaking of peace building, the question arises whether the NCA will be reviewed or whether a new course will be crafted. We must consider about it. For peace building, if the undertaking is to be done according to the NCA, the NCA must be reviewed and the necessary terms and conditions must be incorporated. Similarly, the Framework for Political Dialogue and the Terms of Reference must be reviewed and amended, and the peace building must be further undertaken. It should not be done in haste as before. If it is done as before, the present peace process will surely be wrecked. If the peace process is to be reviewed, changes must be made about the Union Accord, having 37 points concerning principle and policy, the outcome of the Union Peace Conference 21st Century Pinglong Second Meeting, signed on May 29, 2017. 1. The designation of Padoh Saw Gweh Htoo Win as signing the Accord as the representative of the ethnic armed resistance organizations group must be changed to signing as the representative of the 6 ethnic armed organizations group. 2. It is necessary for the groups, which have signed the Union Accord, to sign an agreement stating that if the groups, with intent to participate in the future, want to amend the Accord by adding terms, can do so. Only then, there would be guarantee for marching forward together for peace. On our part, we would like not to face again the situation of having no chance to amend the NCA after the signing of the NCA draft. As we have have had previous experience of being deceived like this, we need to have an agreement as discussed above.